Does this look soft? I said, does this look SOFT? Well, it is really really soft. 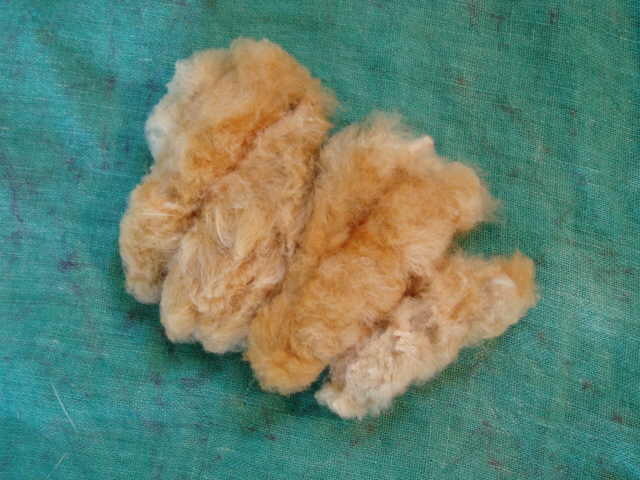 This is the first cotton of the season, picked from a big fat wide open Peruvian Brown cotton boll. There are 8 seeds per “finger” – and there are, as you can see, 4 “fingers.” I expect that the rest of the bolls will be following suit soon. The green cotton in the lower field is still blooming, but the bolls are bigger and there are more per plant than on the brown. Pretty exciting stuff, I must say. Cotton is a beautiful plant, and this fiber is just awesome!